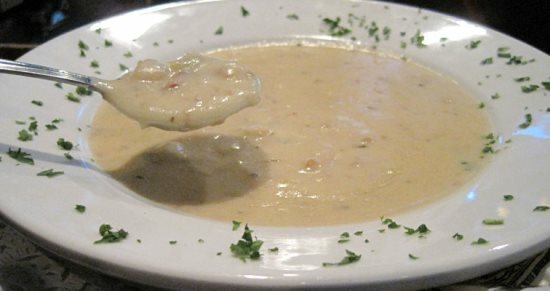 I’ve been making a lot of New England clam chowder, and while noting that most of the recipes are about 95% fat (heavy cream, butter) I have recently been maked a base that is very different, lower in fat, and still thick, rich, and delicious. Using a base vegetable or chicken stock, I chop up partsnip, onion, & celeriac (celery root) and puree this into a very thick soup. To this I add some cream and butter in small amounts, and clam juice and chopped clams. Sometimes I dice up some additional onion and potato for the nice chunks, and the soup ends up still being very thick, with an incredible mouthfeel, and rich with delicious clam flavor. The parsnip add bulk, & the celeriac adds the hint of celery to make an amazing clam chowder that is rich, thick, yet far less fatty than the traditional chowder. If anyone wants, I can post a recipe, but I tend to just toss stuff in a pot, but I’d be happy to develop a recipe for the world if you would like one. On Sunday I attended the 3rd Annual Fireplace Chili Cook-Off at the Squantz Engine Company, the fire department in New Fairfield, CT. The proceeds from the event will not contribute towards the company’s goal of purchasing a new engine to replace an engine they have now, but that’s not why I went specifically. 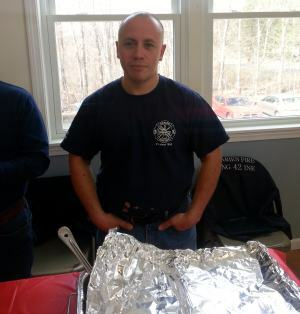 My friend, Matt Lucero, A firefighter in Darien CT who is known all over Fairfield County for his cooking skills was a participant in the event. While it seems unfair to all the other firefighters that he be allowed to participate, he nevertheless agreed to attend as it is for a great cause. I’m thinking she allowed himself some sort of handicap to keep things fair. If there one thing that firefighters are known for (other than fighting fires and rescuing cats from trees) it is their cooking. In fact, they are a competitive lot, fiercely proud of their cooking (with good reason), and love to show off their culinary skills with events like this one. You could probably find a firefighter cook-off every weekend of the year near you if you wanted. And you should, the food is amazing. Am I biased because Matt is a friend of mine? Of course not. When the laws of the universe say that Matt’s chili is the best in the world, there is no bias, it is just a simple fact, and you can’t argue against universal laws. There were a fair amount of entrants, and to be honest, all the chili was pretty good, with styles ranging from the smokey and savory, to the sweet and tangy. While my taste leans towards the savory, there wasn’t a chili there that I didn’t enjoy tasting. With meats ranging from venison to beef, tastes from barbecue sweet to robust and savory, even traditional and off the wall, the turn out was very good and the chili better. As much as I tried, I couldn’t pry Matt’s recipe from him, but I have to say that I was quite impressed with his as it had a nice meaty flavor, and, above all, the best texture I have found in a chili… It held together without being too watery, a fault I saw in every other entrant. 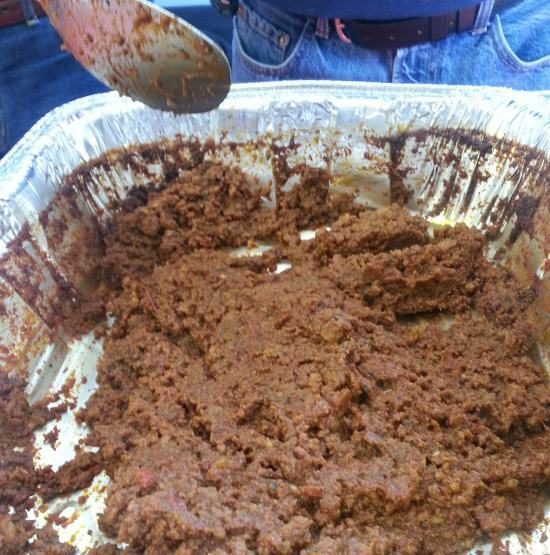 While Matt didn’t win, and I didn’t expect the non-local to win anyway, I felt that his chili was the best simply due to it’s meeting all the classic ‘chili’ standards while holding together in a great chili way. I may have to resort to darker measures to find his recipe. But whether I do or don’t, it was a fun day at the Squantz Engine Company, and we left there quite content. We’re on to find one more local now, hopefully one in our own backyard. I found this on a forum in which I participate, and wanted to share it with my readers as not only is it brilliantly made, but it is an age old problem resolved in a great way. In order to help their young child eat their veggies, this person made the child actually *want* to eat them, as this presentation is so fun how could they not? 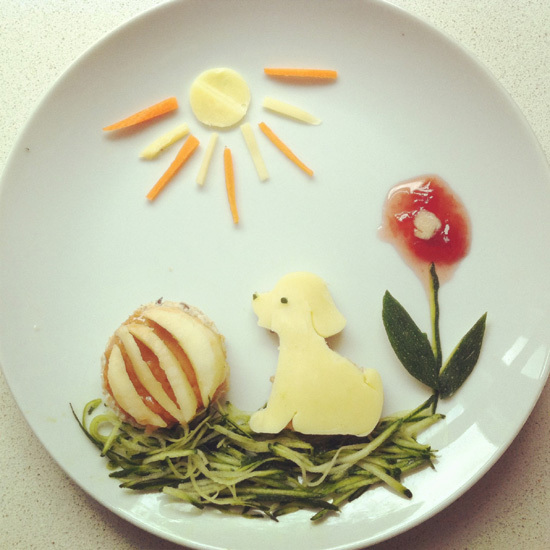 I’ve seen a lot of creative ways to plate food, and for meal time with the kids, I think this is a great and creative display that can do wonders to avoid the veggie avoidance syndrome. This was my dinner tonight. I’m cutting out carbs for a month, so this creation, I call the “keto burger” (I’m sure I didn’t come up with the term) was a nice option for those with limited options. 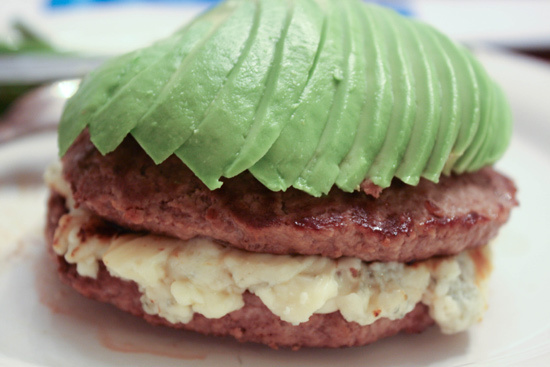 Two hamburger patties acting as buns to a huge pile of blue cheese, topped with thinly sliced, perfectly ripened avocado. Friends…. I was very happy for this as, while I don’t miss the bread, I do like the complexity of mixed flavors. If you are on any low carb or keto oriented diet, I recommend giving this one a try. Add a tablespoon or two of baking soda to the water when you boil the eggs. This will increase the pH of the water, making it more alkaline, which will allow the membrane to slip off the cooked albumen (egg white) easily. You can pull the shell right off, or, if you want to make it interesting, crush both ends of the egg, hold it in your hand and blow. The egg will shoot right out of the shell and across the room. Hard boil the eggs, remove from the water when cooked, and wait until they are room temperature. Do not put them in the refrigerator, just leave them on the counter. Room temperature cooked eggs are much easier to peel than hot or cold ones. Personally, I prefer the baking soda method because I can’t wait and I like showing people the magic trick of the egg shooting out of its shell, but how you do it is your choice. 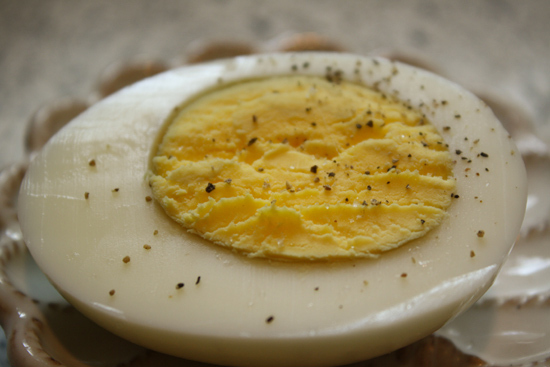 Now hard boiled eggs are an easy meal!